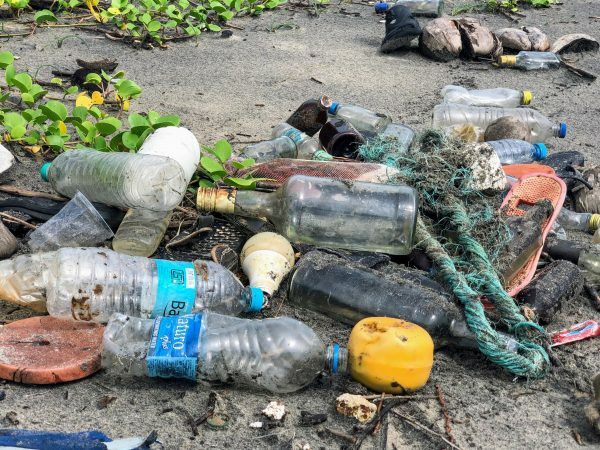 At one time, manufacturers and businesses considered plastic to be a godsend; but now, we’re trying to get rid of it as it chokes our oceans harming and killing wildlife. The concept of biodegradable plastic came about in the late 1900s when the early signs of plastic pollution began to rear its ugly head. Thankfully, we’ve made quite a few improvements ever since the start of the new millennium, and they’re reducing the amount of plastic that consumers are using. Although we still have a long way to go, some notable biodegradable innovations underway deserve attention for addressing the problem. Here are the newest biodegradable technologies that businesses are looking to implement in industrial processes. One of the biggest threats to our oceans is the increasing amounts of plastic that hurts aquatic life. A proper solution is to make edible industrial goods that won’t hurt them. BAKEY’S, an India-based company stepped forward to introduce a greener alternative to plastic cutlery that usually crowds landfills. The company started with regular spoons that people could use to eat rice. Now, they’ve expanded their lineup to include forks, dessert, soup, and yogurt spoons as well. They make these with kneaded rice and wheat flour. They don’t transfer a lot of flavour into your food and they come in sweet and savoury flavours, which can be beneficial to various companies in the food industry. Companies can use biodegradable cutlery and bowls to avoid paying for recycling costs and the expenses of transporting used goods. A major cause for suffocation in aquatic life is the number of beer six-pack rings that users throw into the ocean. Saltwater Brewery came up with a solution that’s just as convenient minus the harm to turtles, fishes and the rest. Their six-pack rings are made from grains so even if they’re thrown in the ocean, the marine life will be pretty happy about getting a snack. Making edible six-pack rings will reduce a brewery’s use of resources. Chances are they won’t even have to outsource a company to provide raw materials for the packaging, since breweries produce plenty of spent grain as a byproduct. Using wastewater byproduct gives them an opportunity to get rid of it without harming the environment. One of the biggest uses for plastic comes from food packaging, and this trend needs to change considering that most of them are actually unnecessary. Companies like U.K.-based Snact are busy working on food packaging that bio-degrades and turns into compost within a few months. In addition, companies like Tipa manufacture convenient zip-lock bags that take only three months to degrade. Some companies provide customers with an opportunity to recycle their packaging by sending it back but this creates a hassle and induces further expenses. Biodegradable packaging means that manufacturers can forget about product waste and avoid costs of recycling and transportation. Plastic water bottles are the main reason why environmental activists are encouraging people to carry reusable water bottles. Around 22 billion plastic water bottles are thrown in landfills every year, and that’s just America. One of the coolest innovations in this regard is a creation from 2016 by Ari Jonsson. The design student was able to make an alternative to traditional plastic bottles using red algae as a material. Although the design works, it still needs more developments until it’s ready for the market. This can be phenomenal for bottled water companies; ever since consumers have started carrying reusable water bottles, companies are having a hard time convincing customers. Biodegradable bottles will put consumers at ease at promote bottled water sales. If you think that there’s no harm in forgetting your travel mug at home once in a while, considering that disposable coffee cups are made from paper anyway, you’re wrong. That’s because most designs for disposable coffee cups will take about thirty years until they finally decompose. Starbucks is testing the market for biodegradable options by eliminating the internal polyethylene layer from the inside of their cups, making them easier to recycle. Traditional plastic straws are very hard to recycle, so most of them end up in landfills or the ocean. While paper straws are a viable alternative, the company Biofase wanted to create a bioplastic and found avocado seeds to be the ideal raw material. The company now converts tones of avocado seeds into bioplastic, which is further used to make drinking straws and cutlery. Considering that straws are a necessity for some disable people, beverage manufacturers will suffer a loss of business by eliminating their use of plastic straws. Such a product can greatly benefit beverage manufacturers who rely upon straws to make the product more valuable to certain customers i.e. who can’t drink without a straw. Although women are opting for plastic-free items like sea sponges, special underwear and menstrual cups, a large population of women find napkins to be much more comfortable. These women are urging brands to introduce biodegradable versions of disposable sanitary napkins that don’t harm the environment. That’s why India-based company Saathi Pads came up with a solution to endless plastic waste that was created. They designed biodegradable pads that are made from banana fibres, making them a safer and greener alternative. If other manufacturers follow suit, they can boost sales, employ it as a marketing strategy, and their engineers don’t have to rely on expensive resources to create the product. These are some of the most exciting biodegradable innovations to come across the industrial sector. With these new technologies, limiting the use of plastic is now a goal that’s more achievable than ever. All that’s required is further development, and it’ll be possible to reduce mankind’s dependence on plastic, without giving up the benefits it provides.